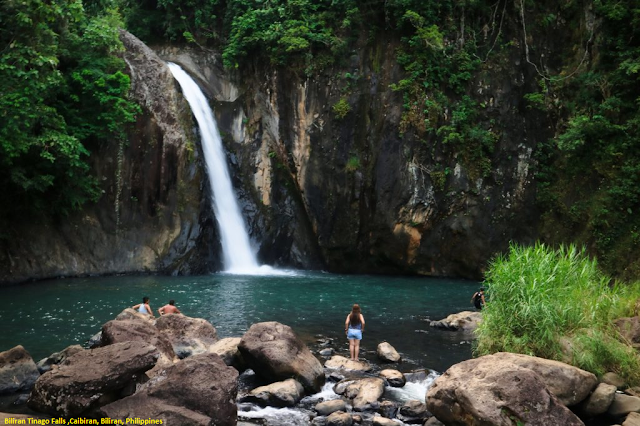 Tinago Falls is one of the best attractions offered by the province of Biliran. The name of the falls, "Tinago," means "hidden" as it is likened to a hidden treasure. The falls is situated in the town of Caibiran, Biliran. At a height of around 90 feet, it is nature's display of beauty and power. Biliran Tinago Falls is just one of the nature beauties in the small island that’s hard to conceal for so long. The falls offers a breathtaking spectacle of water and rock surrounded by the vast forests and green vegetation.Tucked in the forest of Caibiran, near the heart of the island, the falls (Tinago in Tagalog means hidden), no longer hidden, is probably the most popular falls in the province. The inner Naval-Caibiran road is well paved, passing through a series of low rice terraces towards the jump-off known as the Tinago Falls Eco Tourism Park. It’s accessibility makes it a local favorite for both tourist and island natives.